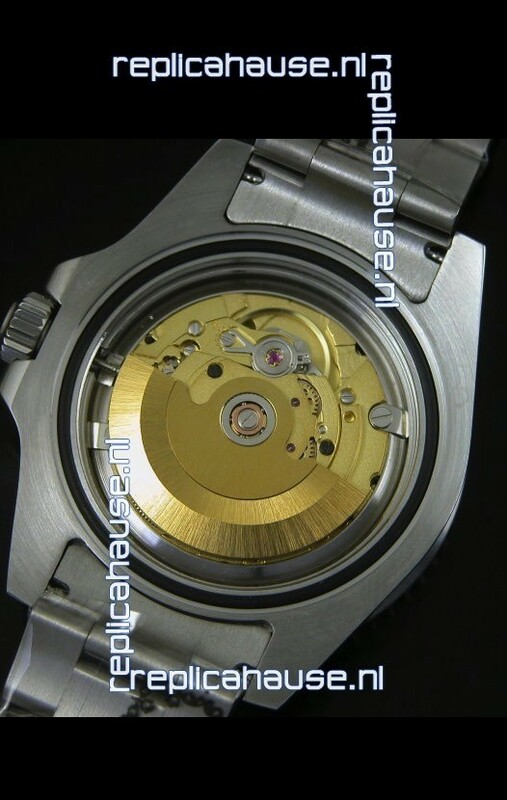 All parts are interchangable with Original Watch Parts - Only difference between this watch and the Originals is the Movement. 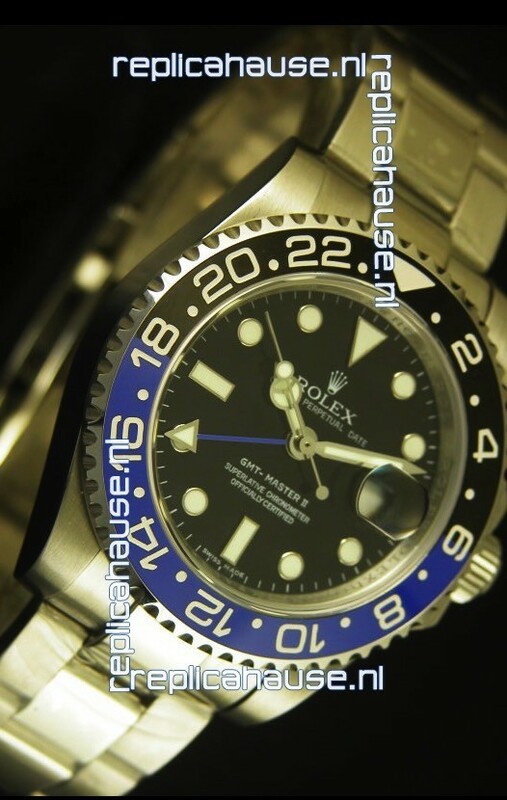 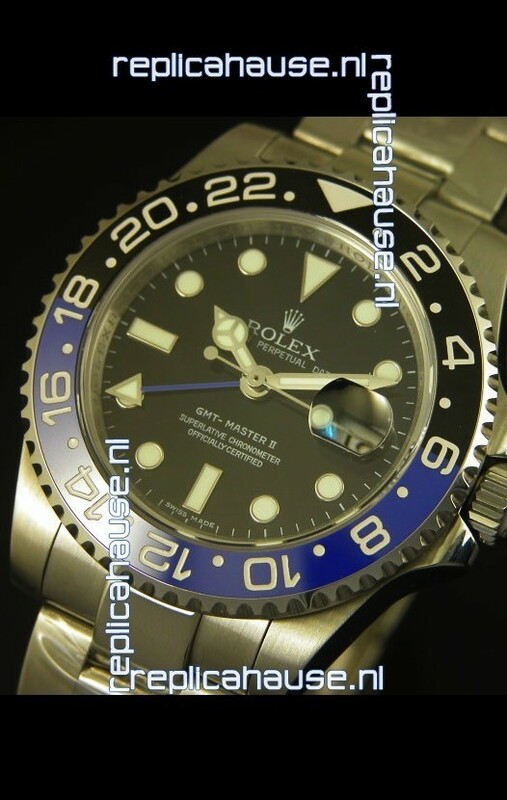 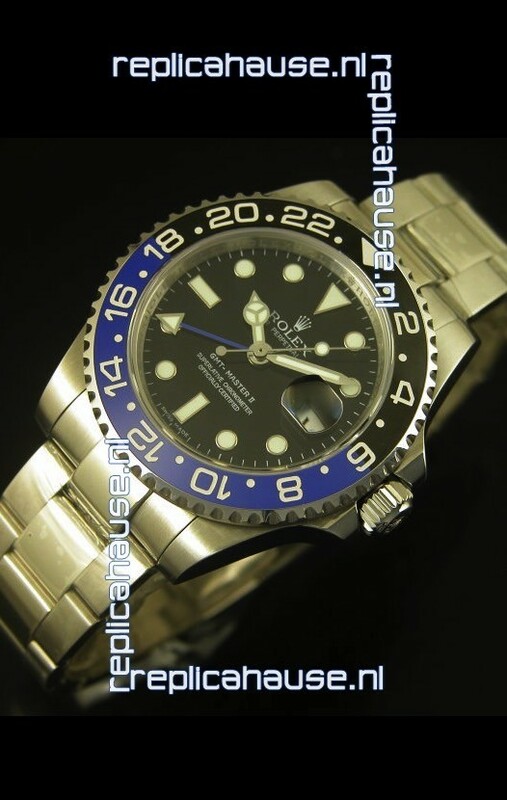 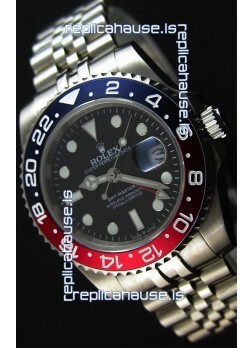 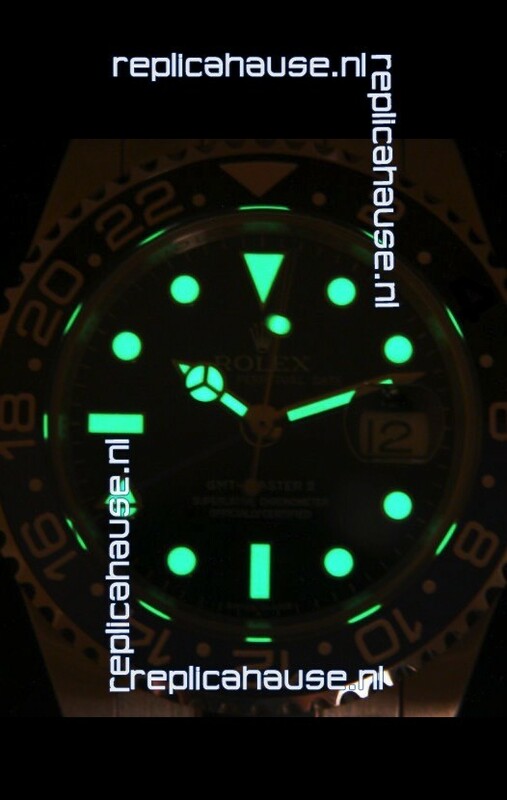 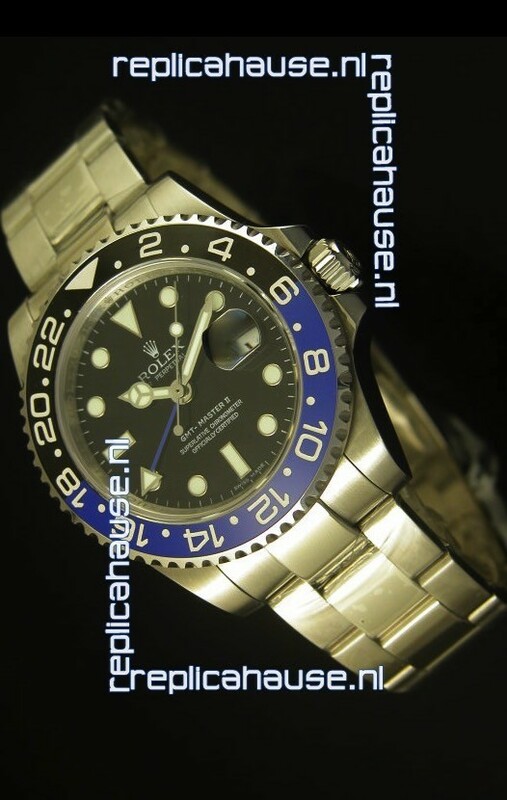 Fully Functional Fourth GMT Hand which can be set independently. 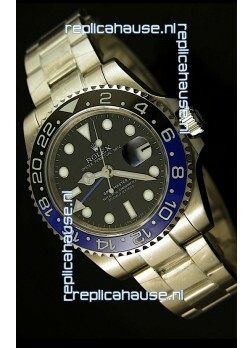 Black and Blue 24 Click Uni-directional Rotating Ceramic Rotating Bezel. 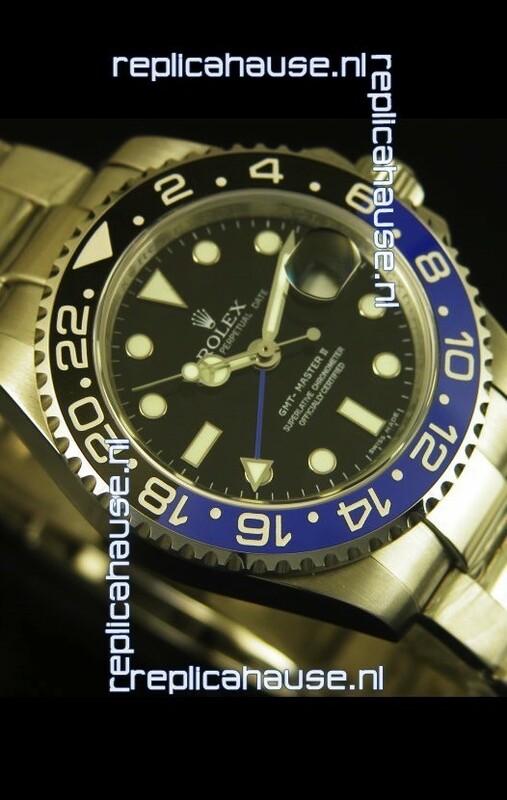 Bezel Thickness and size has been improved. 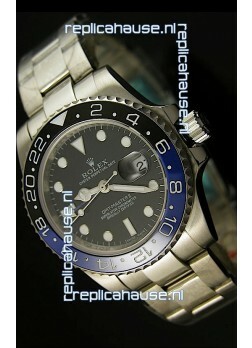 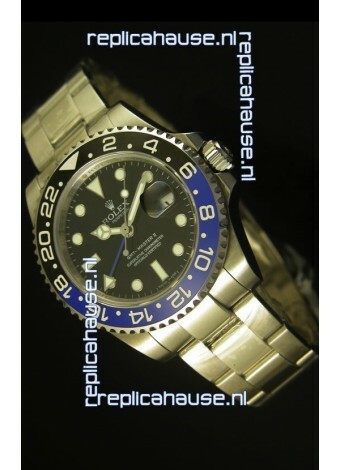 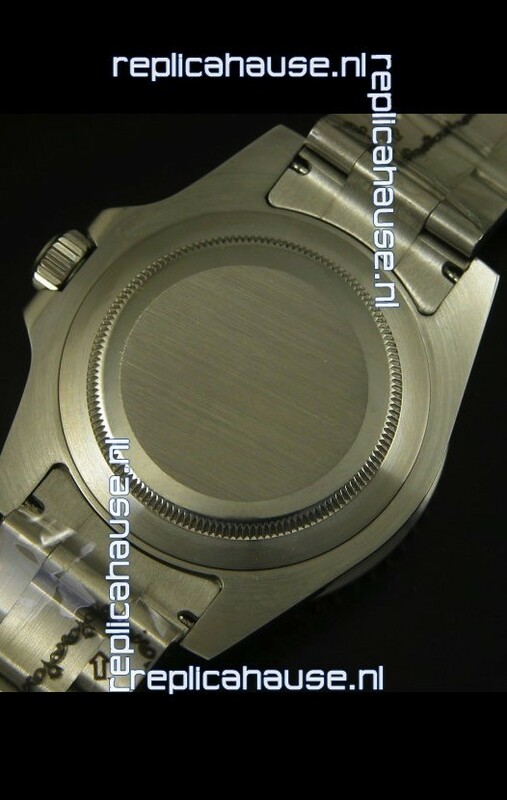 440 Solid Brushed Stainless Steel Case with Rolex Markings and Engraving. 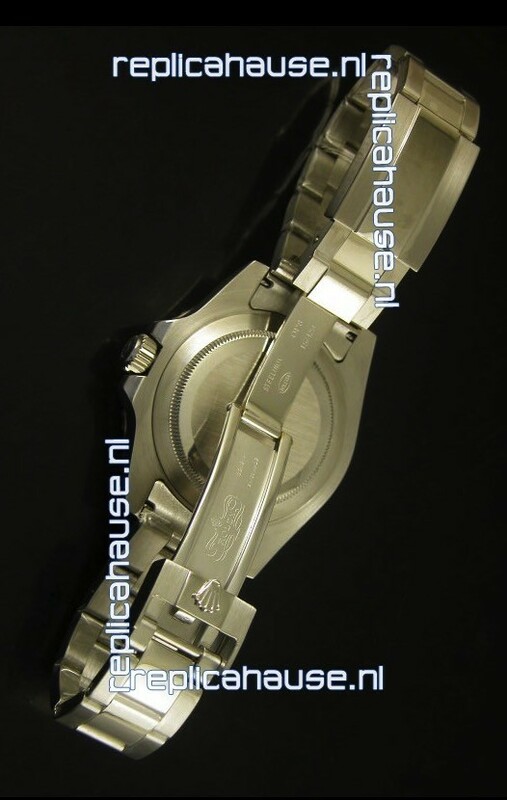 440 Solid Stainless Steel Strap linked together with Screw. 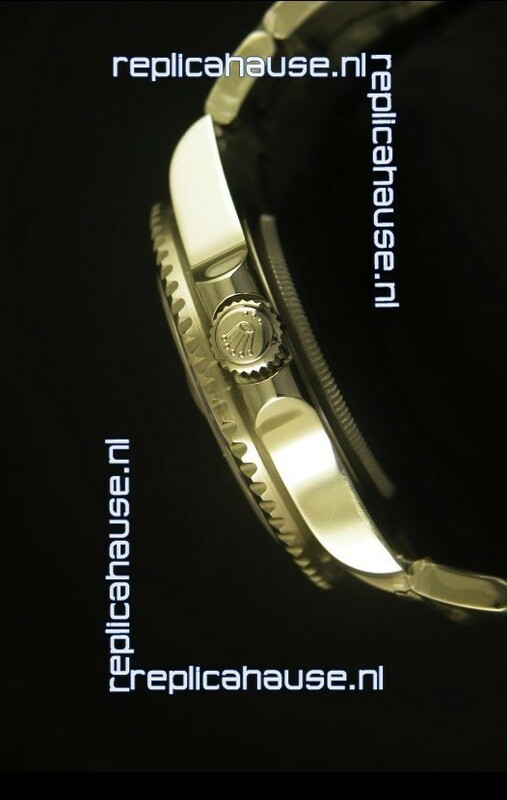 Improved New Relosor Clasps with Divers extension with serial number engraved on end Links.